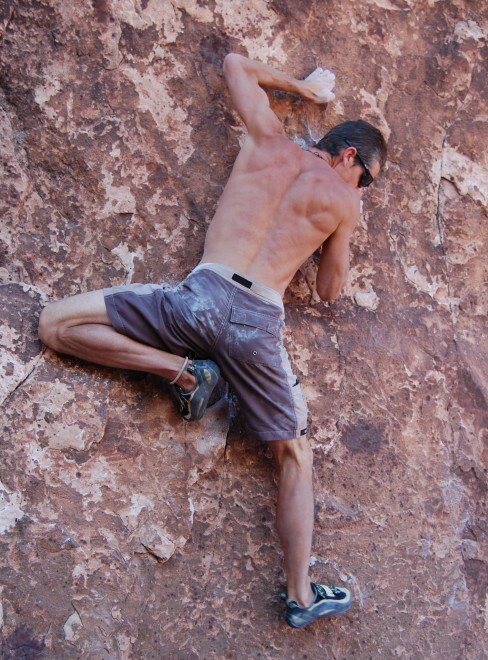 'Mama, Don't Let Your Sons Grow Up to be Cowboys'—or Sailors and Rock Climbers? No, they "ain't" no cowboys. "Mama, don't let your sons grow up to be cowboys" the song goes, or in our case, sailors and rock climbers—but then again, why not? We all have high hopes for our children and what they could/should/might do with their lives. Study well, do your best, achieve success, and thus we, parents, will be fulfilled with the satisfaction that we have done our best. But when we plugged our family back into a life on land after 10 years of living and sailing on Cowabunga across seas and continents from Europe to California, maybe it was too much to expect that our sons simply live and plan futures like regular citizens. In high school, both our sons continued to be sailors. For a while, they were a team, competing together in 49ers, a class of a high performance sailing skiffs ("49er" meaning 4.9 meters or 16 ft.), and individually they cultivated their own crewing and rigging specialties, along with being consistently recruited as crew on other boats. They attended the French Lycée Français high school in San Francisco, a very academic program that didn't leave much room for after-school activities. They filled their weekends with sailing. When our oldest son, Sean, announced early on in his teens that he wanted to be a professional sailor, we said that was all well-and-good, but that he should have a Plan B, specifically, to pursue a college degree that he could plug in somewhere down the line in order to get by should the need arise (which we were most sure it would). After all, both his father and mother (Michel and I) had college degrees and professions other than being sailors that we were able to fall back upon when the need arose. On occasion during our 10 years of a cruising vagabond life, we would have to plug back into the real world to make money in order to continue on our sailing journey. Sean did give it the old college try, literally. He dutifully enrolled at the local junior college, but he never really got off to a good start. There was always a crucial regatta the same day of a lecture, or an exam. Or there was some all-important yacht club function where he just had to make an appearance, mingle, and cull his contacts. Sean was, and is, good at this. "Networking" and "marketing" we call it today. Anything that had to do with sailing and could be seen as an important stepping-stone toward his advancement to his goal of sailing for a living always trumped whatever else was on his calendar. Consequently, school courses fell by the wayside and were soon forgotten altogether. Aside from his promising abilities early on as a bowman—the one who manipulates the spinnaker and all other sails the most forward of the boat—he learned the craft of sailmaking when he worked at North Sails, and the intricacies of boat rigging as he repaired and created systems for boats. Today, Sean has made a lucrative career as a professional bowman, and is one of a small elite group of international professional sailors, criss-crossing oceans in high stake regattas. He has amassed an impressive resumé of well-known sailing events under his belt (or harness in his case) including an America's Cup regatta. Our second son, Brendan floundered somewhat after high school, not sure of what he wanted to do, or what direction he wanted to take. He had a multitude of interests and aptitudes, and he was becoming disenchanted with sailing altogether. He was always drawn to the outdoors—a logical connection since he had always lived out there while on Cowabunga, since his birth. Camping, hiking, skiing, rock climbing, isolation in the wilderness…he wanted, did, (and still does) it all. Brendan harbors a deep-rooted disdain for all things regimented and most especially a rigid school environment (specifically being in a classroom with walls, desks, and windows!) but nonetheless he was a good student if the subject interested him and he could envision the ultimate outcome. When he finally alighted upon his niche as a paramedic/firefighter (ironically, a somewhat "regimented" profession, but nevertheless adrenaline-based), he pulled out all the stops, garnering top honors with a degree in kinesiology, followed by paramedic school. Above all, Brendan seeks freedom to pursue his dreams and activities, and such a profession affords him the time to indulge in his passion: rock climbing. The upshot is, our children didn't follow a straight line, and they still don't. In their current lives as fathers, they eschew much of cultural dogma, and stand their ground with definite ideas and principles. We didn't trace a straight line for them, so we couldn't expect them to follow one. Yes, it is hard to leave them be when they hit the threshold to the world after high school. One has to let go, take a leap of faith, and hope that they figure it out on their own. Both Michel and I certainly veered from what our parents thought we should do. 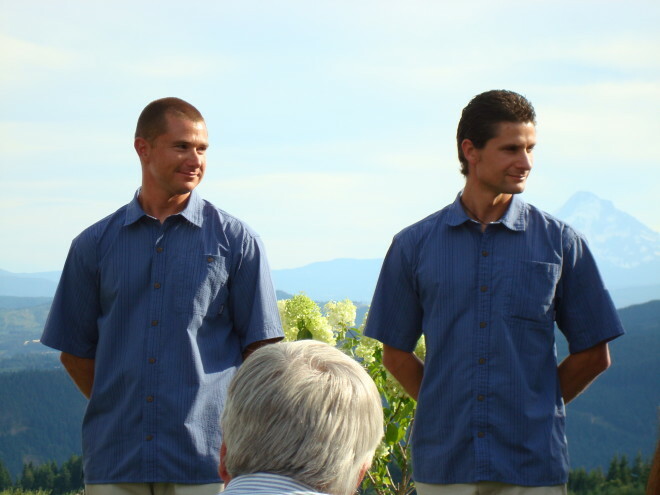 We also needed to remember that during the first 10 years of their lives, Sean and Brendan didn't see us being "professionals" outside the home. They didn't see their father as an architect, nor me as a journalist. They only saw us two as sailors, day in and day out. We had to hope that we gave our children the tools and know-how to craft their lives successfully, hoping that the jumble in their adolescent and young adult brains would all sort itself out. The old adage to "follow your heart, do what makes you happy, and good things will happen," isn't always easy or true, but our boys are products of the spirit of Cowabunga, and if she could make it through storms and the bad times, so can they—and they do!